The legend of Lasseter’s lost gold reef is one of Australia’s most famous and talked about legends. Harold Lasseter claimed to have discovered a fabulously rich reef of gold in Central Australia with gold “as thick as plums in a pudding”. He told the story that he stumbled on a quartz gold reef seven miles long, four to seven feet high, and 12 feet wide in Central Australia. 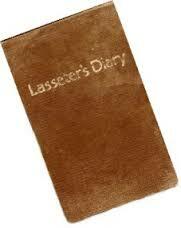 Some years ago I inherited a copy of ‘Lasseters Diary’ and have been curious about Lasseter and his lost gold reef ever since. When I moved to Alice Springs in 2001, I began following his story more closely – not with the expectation of hunting down the gold reef, but because of my interest in the rugged ranges of Central Australia. I wondered if this legend could possibly be true. There appears to be considerable overlap of legend and reality .. but we Aussies love a good story! While most Australians have heard the story of this fabled gold reef, it is not known how many have attemped to re-trace Lasseter’s steps in an attempt to locate the infamous gold reef and claim the riches for themselves. Lasseter claimed he had travelled to Central Australia in the search for rubies and had stumbled upon the gold reef in the Western MacDonnell ranges. Whilst Lasseter’s details of the discovery are conflicting its exact location continues to remain a mystery … if it even exists. According to Lasseter, he spent three decades trying to raise sufficient interest to fund an expedition into Central Australia. At the time, fortunes were being made from the Kalgoorlie gold rush in Western Australia so an expedition into the unknown desert wilderness of Central Australia didn’t raise enough interest. In 1930 Lasseter finally raised the funds for the expedition which was touted as the best-equipped gold-seeking exploration in Australia’s history. However, it was a failure and he was last seen alive wandering through the desert with two camels. From Lasseter’s diary it was learned that his camels bolted, leaving Lasseter stranded without any means of sustaining himself or returning home. Despite constant nurturing by the local Aboriginal people he died. In early 1931 his remains and personal effects were found in a remote desert cave. There was no indication he had re-located the reef and no map was ever found. Since then at least 13 major expeditions have set out to find the treasure, but all have failed. No maps indicating the likely location of the infamous gold reef have ever been found. 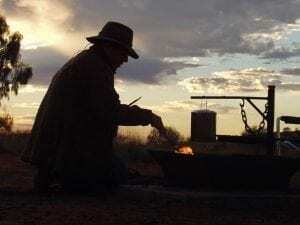 Over decades the tale of Lasseters lost reef has grown and is now perhaps the most famous legend in Australia and considered the “holy grail” amongst Australian gold prospectors. In typical Australian tongue in cheek humour, the local Alice Springs casino resort is named “Lasseter’s Casino” but everyone knows there’s no gold to be found there either! Have you heard of the legend of Lasseters’ lost gold reef? Perhaps you know of someone who has searched for this elusive treasure?